My life changed from being a single mother struggling to being a corporation owner who brings in multiple 6-figures every single month with recurring payments I don’t even have to market to. Let me teach you my STEP BY STEP Blueprint for building your own small business that can succeed beyond your wildest dreams! This Webinar Could Change Your Life…. FOREVER! I remember what it was like to live on $5,000 per year as a single mother. The fear, struggle and pain of wondering if we’d make it every day was almost unbearable. But my life didn’t end there. Just 6 short years later I made my first million. And I can still tell you exactly what it took to pick a product, get paying clients and close sales in that business. It’s a BLUEPRINT for success that I have followed for the last 24 years in every single company I’ve ever run. It’s a STEP-BY-STEP process that you, too, can learn to implement and it will clear away all of the training you’ve taken that just isn’t working. I now have recurring payments, regular customers, who pay my corporation EVERY SINGLE MONTH for products they want over and over again. This means there are sales coming in that I don’t even market to! Most of you don’t need a million dollars to quit your job. You need $ 1000-1200 per week to change your life. So if you find a great product or service to sell and you can sell enough units to make that each week, well, then give your boss a very nice pink slip! (Be nice though because you could end up being a boss one day and you’ll get employees just like yourself if you build a store that big!) I ran my first online store from my kitchen table. I’ve done digital stores, services for hire, hard products, drop ship products and even products we private labeled! NOW… it’s my honor to teach you something I’ve NEVER taught before. How to do this from START to PROFIT! Some of you WILL quit your job by December 31st! 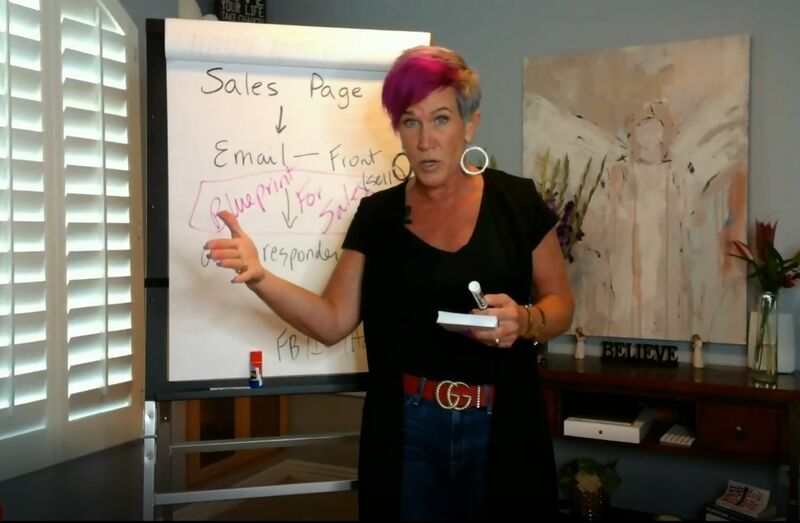 My brand new webinar is selling out fast and I do NOT want you to miss out on this opportunity to finally get the blueprint, and steps that you need to see success in your small business. I want to help you make this your best year yet and end it with a bang- maybe even quitting your job! In the 1990’s when Google first started and the online world was just picking up steam, I made my first million dollars when I built my very first online store. It was a kitchenware store where we dropped shipped through out the continental USA over 450 kitchenware items. What started out with a desire to just ‘drop ship’ high end kitchenware soon became a major disruption in the kitchenware industry and my store, run from my kitchen table, became a huge competitor to huge corporations! More than 87% of ALL TRAFFIC on Facebook Today is mobile traffic. There has never been a better time to serve these on-the-go customers! Your business can serve the customers who want to shop at any time of day. 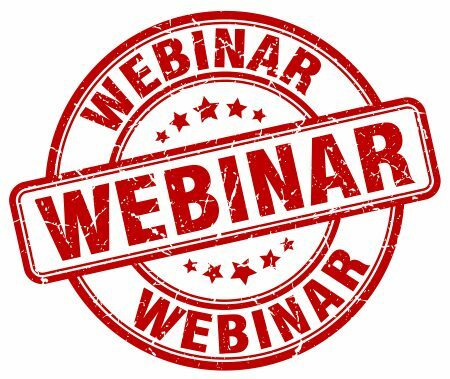 This webinar is PERFECT for anyone who has created their own product, wants to drop ship someone else’s product, has a direct sales product or even an information digital product, coaching or consulting and needs a great store AND marketing help! 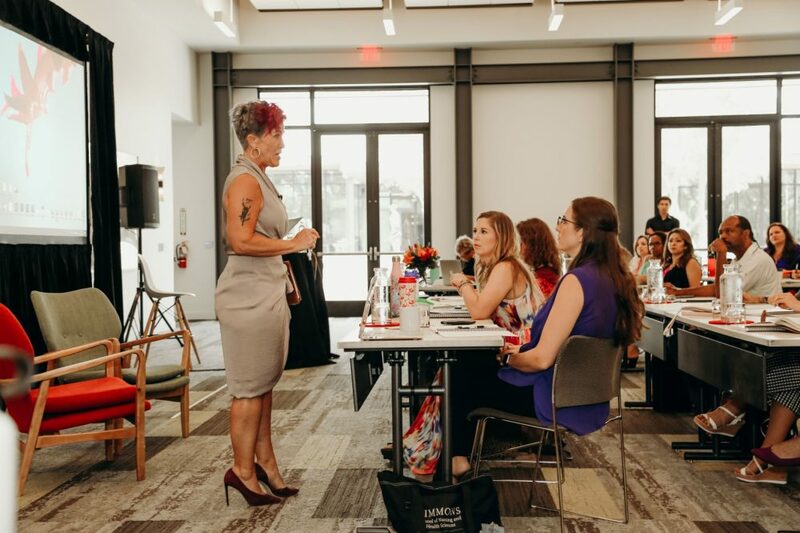 How To Launch, Run And Profit In Any Online Business is a step by step college level course where I will be teaching you how to do everything involved from start to finish in running a business. This is NOT for the hobbyist or the person who wants to play around. It’s for the person who will DO THE WORK and will serve their customers. Let’s write the best descriptions for your products so your customers feel at home with you. I’ll teach you how to say words so naturally you’ll be shocked you actually wrote the copy yourself! We will even cover parts of a business most people do not ever talk about like getting support once you’re set up, how to get the best merchant account, negotiating your rates, getting the best color schemes for your site and more! Includes worksheets and templates!! $1200 IN BONUS ITEMS!!! A step by step template anyone can follow! How to write emails that get opened and credit cards come out of pockets! Getting on the top of the Facebook feed WITHOUT paying for it! Learn how to tap into any market and be UNIQUE and profitable, fast! Will this class be an upsell for a very high priced coaching or exclusive package? Is that why it’s so low priced? Great question! The answer is NO! It will not be an upsell for a higher priced list building class or course. Do I have to have a special website set up in order to attend this class? No. Having a website is not a pre-requisite of this class. You can do everything we teach on a blog later, or even if you only have a Facebook page. Is this class going to be helpful if I do have a network marketing or home based business? Yes! Unless of course you’d like to keep ‘hoping’ people retain their autoships and you enjoy paying overly priced lead generation companies to find your customers and distributors for you. This class alone could take you to 6-figures in a home based business. Your business depends on a qualified list of customers and clients. Will this class be useful if I am a small business just starting out? Absolutely!! This is your bread and butter. This will put you on track for a perfect foundation. Can I take your class even if I have an offline business? Yes! 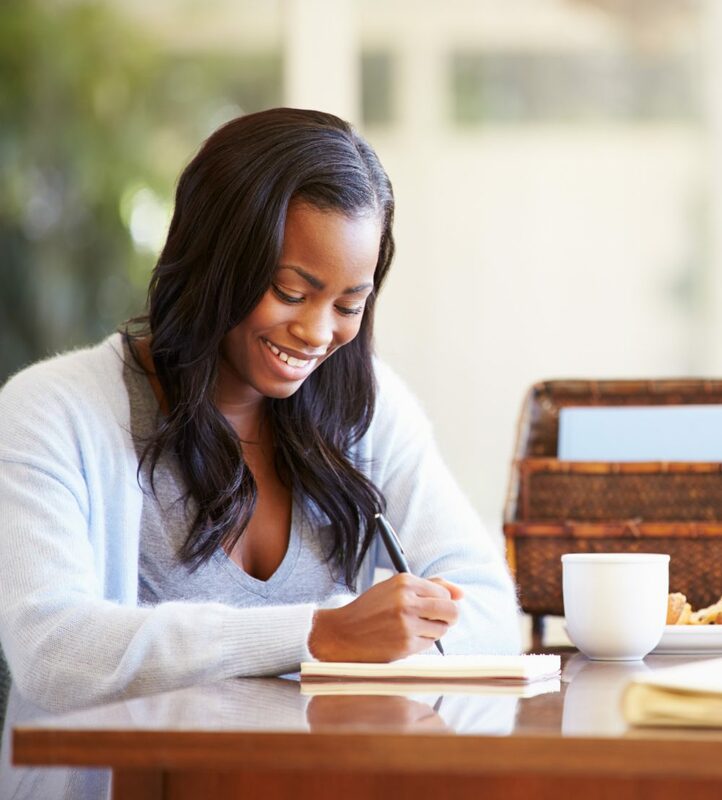 The skills in this class will help you create an offline or online business client base. What if I like to build things the hard way, enjoy going slow and really would prefer to pay high fees to have someone else build my list even if it’s currently not working or has never worked before? Is this class for me? No. This class is NOT for you. Keep paying those high fees, we wish you the best with the slow and painful way and if you do enjoy building things the hard way, we hope you have fun with that. Start IMMEDIATELY! You’ll have INSTANT access to all of the content, bonus’, templates, worksheets and more!!! in my business and my life! I am ready to make the commitment to work my business like a professional, invest into my future and my skill and do all that I can to succeed! I’m not willing to wait any longer and am ready to take action NOW! worksheets, templates and full recording and $1200 in BONUS MATERIAL! Dave Rocker says: Wow! 1 simple ad and I’ve gained over 1000 likes in a week! …. time to engage i think. Thanks for the great advice sandi! Jane Button says: I am still in catch up mode, but I did want to report some direct results I have had from promoted posts. I have been posting some of my blog posts and as a direct result I can attribute $32K in sales because people contacted me and wanted to work with me. Well worth the $160 or so dollars I spent. The promoted post brought them to my page, they read through it, watched a video and BAM! Now to get on with the rest of the course! Daniel McCall says: I just started your Facebook Ads 2.0 class and After the first video started using your ideas for the past week sharing my yoga studio’s vibrant culture. I also launched early registration for one of our core yoga trainings and filled over 1/3 of the capacity in just a few hours! This is a dramatic shift from the usual last-minute registrations we had in the past and we only used facebook and our website – no posters, flyers, or other things we’ve relied on previously. I’m so excited to see how sharing our powerful culture creates positive results in the business! Thank you! Stephanie Miller says: If you are on the fence about this class then decide today to get off it. Especially if your business isn’t where you want it to be. The first webinar and bonuses are worth more than the cost of admission. Scott Hughes says: I can’t say enough good things about the class, already have a like campaign going, been 12 hours and have 64 likes for 13 cents per like. Beth Moseley says: Not only was it great information and very well presented, but I can totally see which businesses on facebook use these secrets and which do not! That’s educational in itself to notice what others are doing! This is awesome! Michael Faris says: Loved the class and i’m pumped for next week!! Nancy Olliver says: Sandi, I have already made a few changes as you suggested , that weren’t even what you were teaching on and have seen my engagement go up already. Now on to the ads. Can’t wait for next week. Thanks! Karen Hosey says: Oh my gosh, learned more in this one session than all the books I’ve read put together. GREAT class, Sandi. Can’t wait for week 2! Michelle DeHart says: It (the class) was AMAZING!!! I have been struggling for months on how to get started and I feel like a weight has been lifted after one class! Sandi, I can’t thank you enough!! I’ve already paid the class off with profits earned! Sandi Krakowski’s Information Publishing Made Simple is worth its weight in gold. I am only two thirds of the way through and I have already added 434 opt-ins to my list and my facebook page has increased from 200 to 1859 people! I’ve already made enough money that the class is paid for! I have always taught my writing workshops in person but Sandi and her team helped me turn my Kindle Training into an infoproduct so I can now help people worldwide. I highly recommend it! I would have paid 10 times the amount for the instruction offered in Info Publishing Made Simple by Sandi Krakowski. My Facebook interaction increased 5-fold in a 2 week period and Twitter interactions more than 300%. This course has been loaded with much usable information and advice. Fellow class members are professional, passionate, and supportive in their interactions. The excitement is contagious and each new piece of information left me hungry for more. I’d been spinning my wheels for 18 months on my new site, wasting time, energy and money, not knowing where to start in creating my first profitable info product. I started a brand new business and, within 60 days, I not only had a full WordPress blog up, but I created my opt-in ebook, I’m getting several opt-ins a day, have gone from 0 to 1100 fans on Facebook, and 150 to 1200 followers on twitter. I’m well on my way to finishing my first complete info product and its because of Sandi and her team’s divine guidance and instruction. Easy to understand, easy to follow, and gets results. Thank you! When I started with Sandi I had 83 facebook page likes and did not understand how to progress forward, so I jumped in nervously and excitedly with Sandi. Now after 2 months, I have 2,536 page likes, getting on average this week 100 likes a day with lots of engagement happening. My opt-ins have increased and I’m confidently working on an ebook, have released videos and one of our blogs is top of goggle search with over 300 views! Sandi and her team are the real deal and it is seriously enjoyable! I finally learned techniques to get this book I have had in my head OUT without the excuses. I went from it being only in my head to finally being on paper and getting organized to get out there for people to see the message. I’m no longer afraid that I won’t know how to market it or where to sell it. I now have the tools I need to get the book completed. You can’t put a price on that kind of freedom.